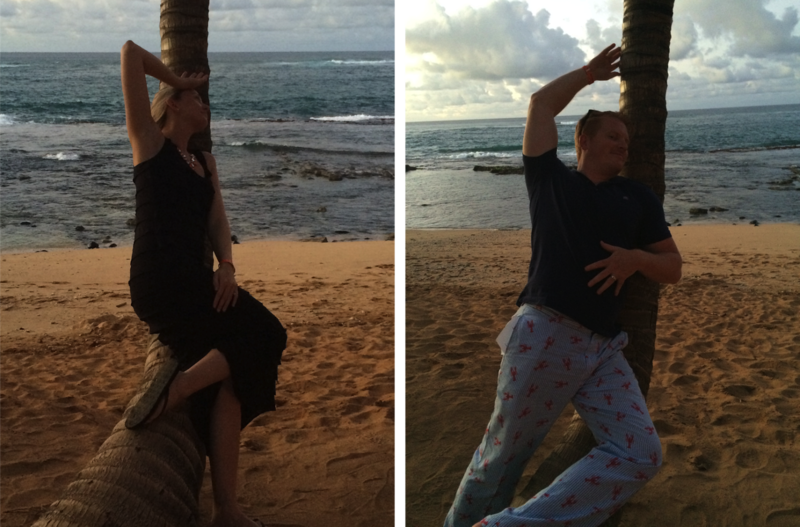 a spot of whimsy: D + C | Honeymoon Part 1: Maui. 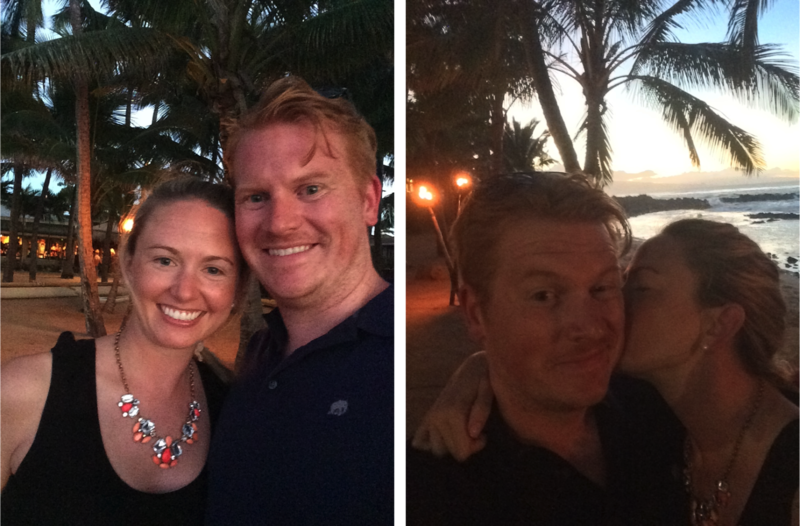 D + C | Honeymoon Part 1: Maui. 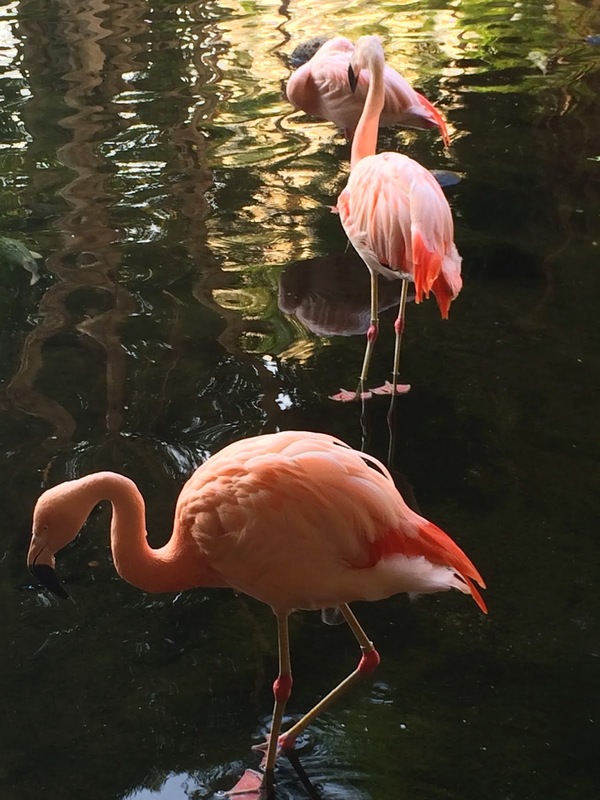 Not that I wasn't expecting our honeymoon to be completely wonderful, but it somehow exceeded all expectations to become the most amazing trip of my life. 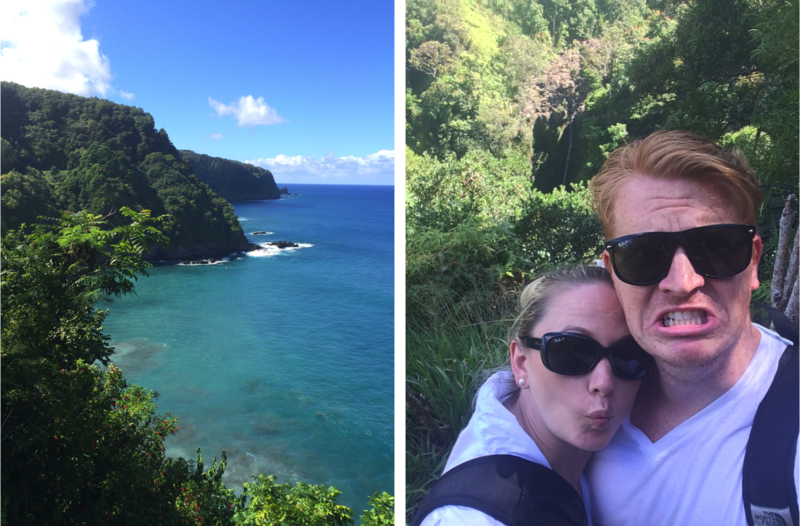 We spent the first 4 nights on Maui, then flew to Kauai for an additional 5 nights. To avoid picture overload, I'm splitting them up over 2 posts, 1 per island. 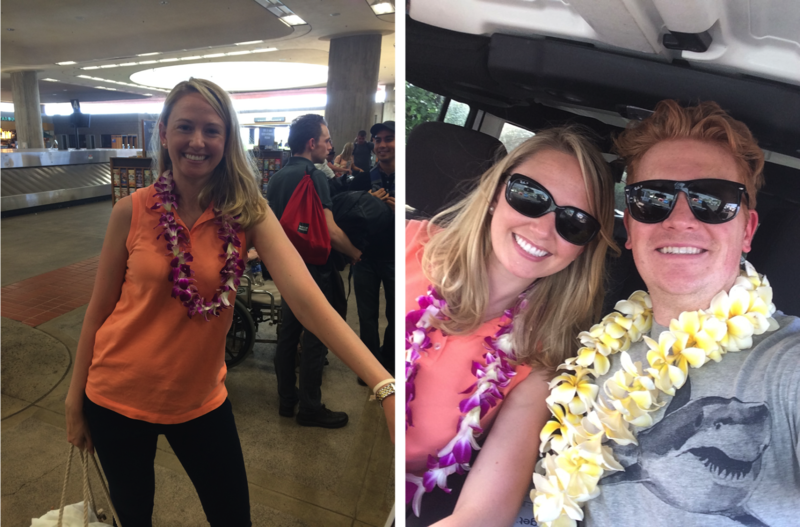 We landed late in the afternoon, immediately bought ourselves some fresh flower leis in baggage claim (love that), and headed to our hotel, the Westin Maui Resort & Spa in our cliched (but awesome) rented white Jeep. After checking in, we sat down at one of the on-site restaurants (Relish) and ordered our first in the string of best seafood meals we've ever had. 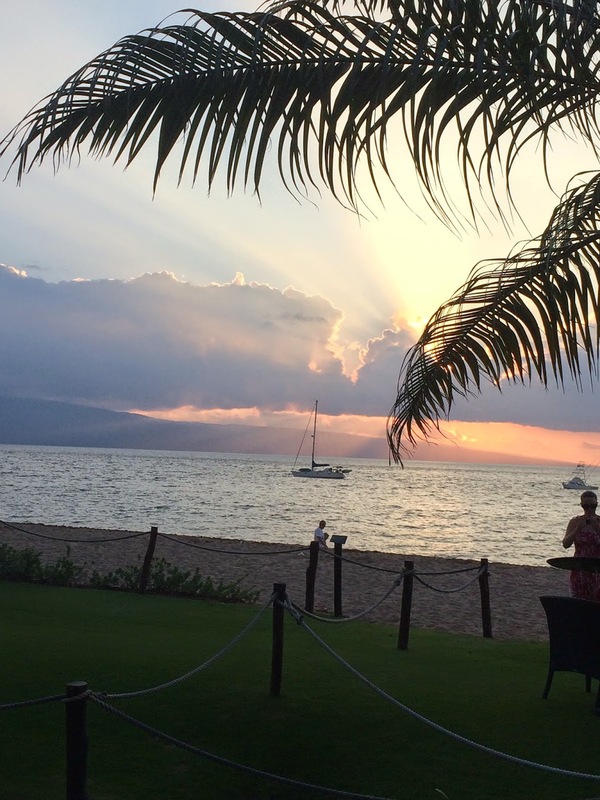 We watched the sun set right in front of us along Ka'anapali Beach, sipping our first rum-filled drinks. And that's when we completely fell in love with Hawaii. For our first full day, all we wanted to do was relax. 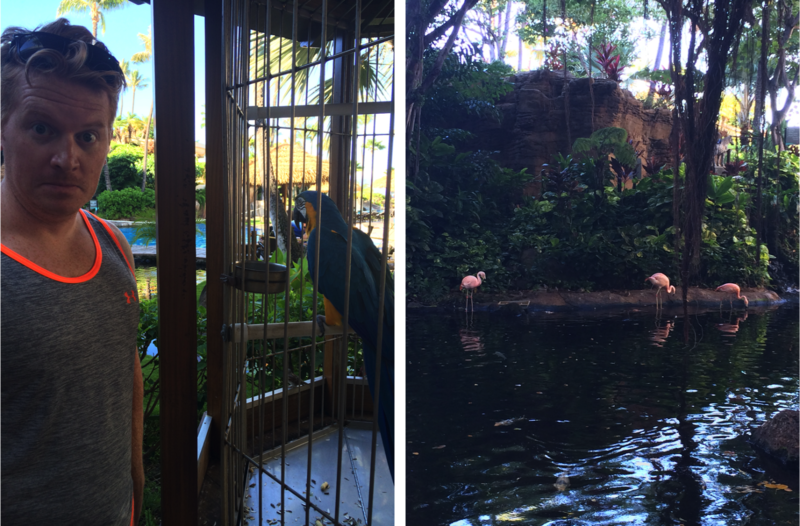 We rented a cabana along the beach, popped in and out of the ocean, had one of the best (but insanely expensive) massages ever, and topped it off with the Westin's on-site luau. 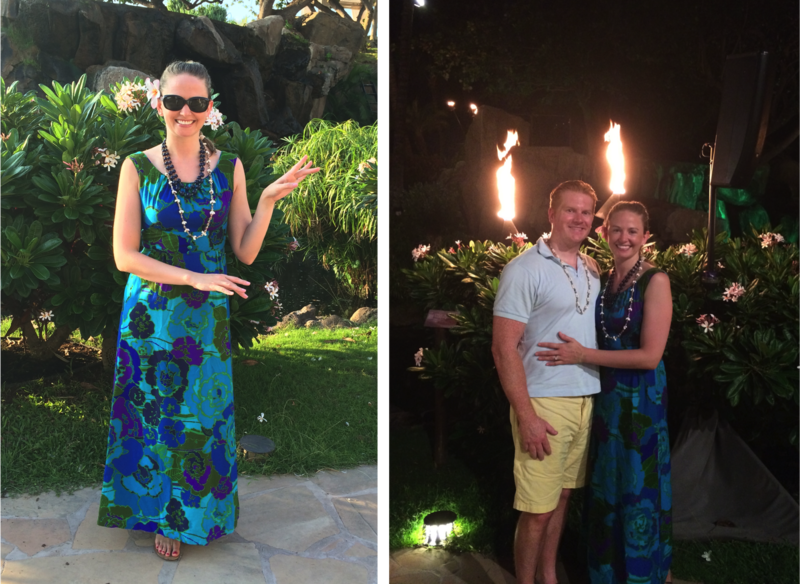 Fun little anecdote on my luau attire: my mom wore this same dress when we all went to Hawaii in the 80s with my grandparents and aunt (I was 2 years old and apparently a holy terror the entire trip - sorry, Mom & Dad! I'll be much better behaved if you want to plan a family trip there now!). The following morning, we went out on an 18-person snorkel tour with Ultimate Eco-Tours. We stopped at 3 different spots along Lanai (one of the two smaller islands off Maui's coast), and saw incredible amounts of beautiful fish (Alas, no sea turtles! But do not despair, they still come into this tale eventually!). I really liked the intimacy of such a small boat, it meant our two tour guides (who were fantastic) were able to personalize the experience and help everyone see lots of cool stuff, but make sure you're OK with really not having any room while on the boat before signing up with them. 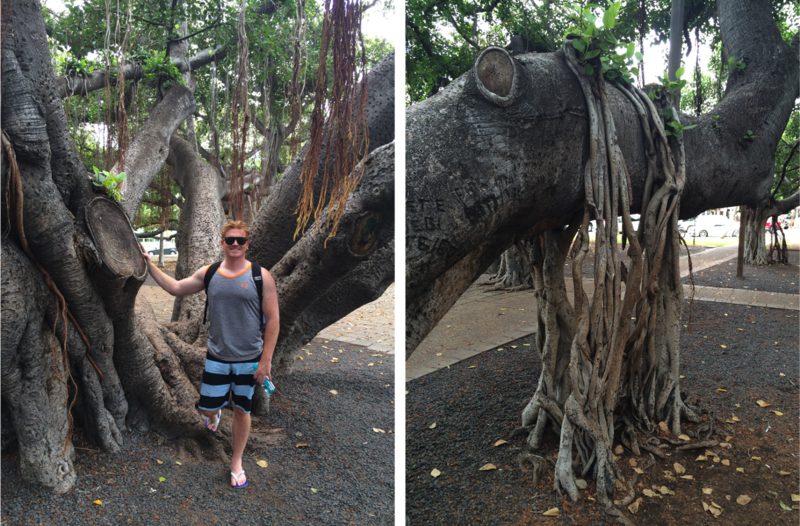 After snorkeling, we wandered through the little town of Lahaina, mainly to see the awesome overgrown banyan tree pictured above. That thing is eventually going to take over the whole town, and it is pretty incredible in person. 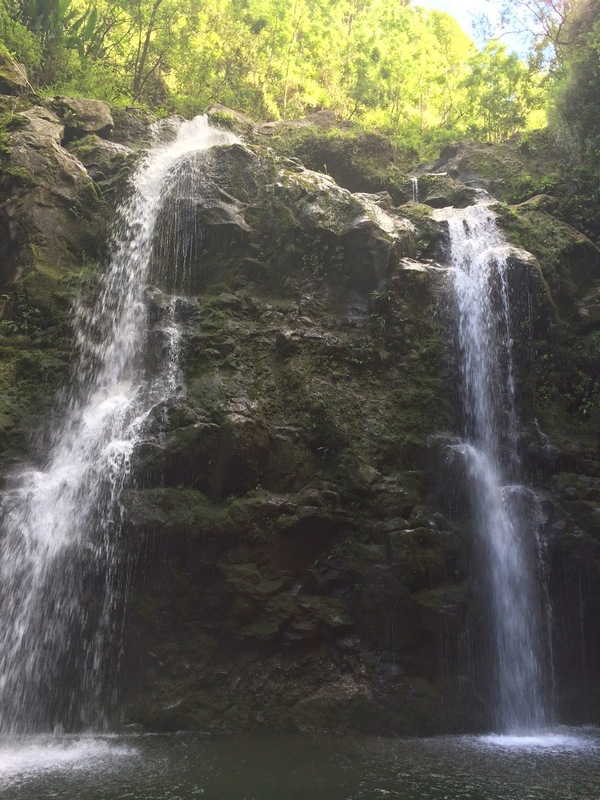 While driving the Road to Hana was every bit as beautiful as you may have heard (some photographic evidence below), driving along insanely narrow, windy roads which often go to one lane is not my cup of tea. 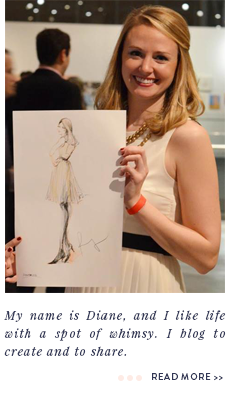 In fact, I was actually anxious about it ahead of time. It all went smoothly and Conor drove it awesomely, but we decided ahead of time not to go the whole way. 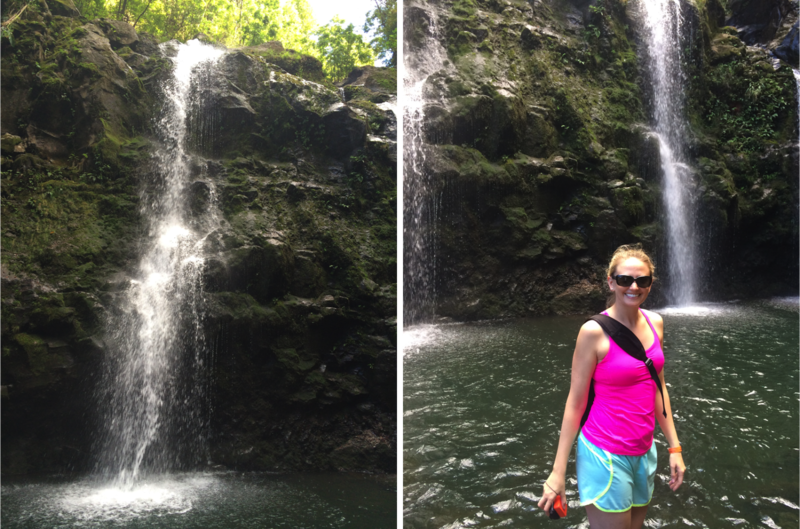 We got to mile 20 and then turned around to head back to have dinner back at the start of the Hana Highway. 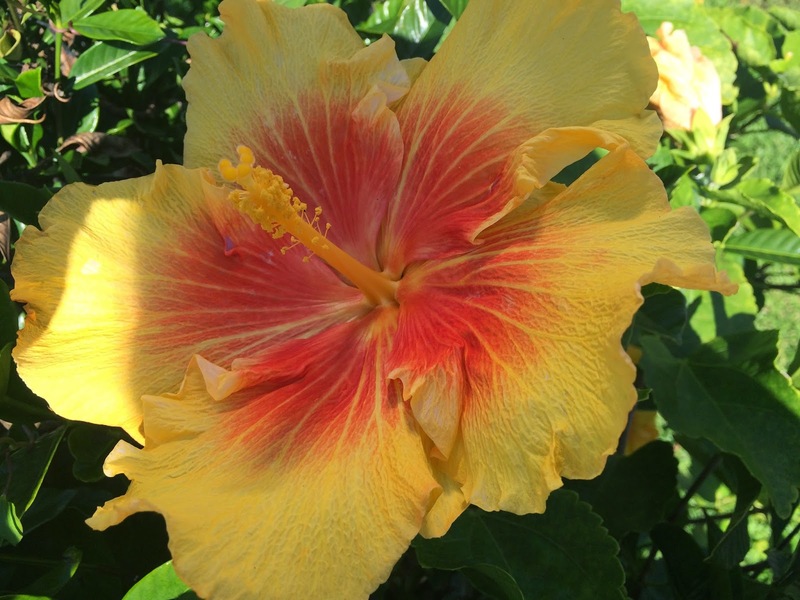 While I would hate to give up staying on the west coast of the island (more on the "where to stay" at the bottom of the post), staying in the midst of the Hana Highway would be a great way to make sure you saw it all without being overwhelmed with the return trip. If we had gone the full 40 miles and then had to turn around or come back all the way around the eastern and southern edge of the island (Hana is on the north shore), it would have been the longest day of all time. People do it every day, so it can absolutely be done, but for an anxious passenger like me, this was just enough. 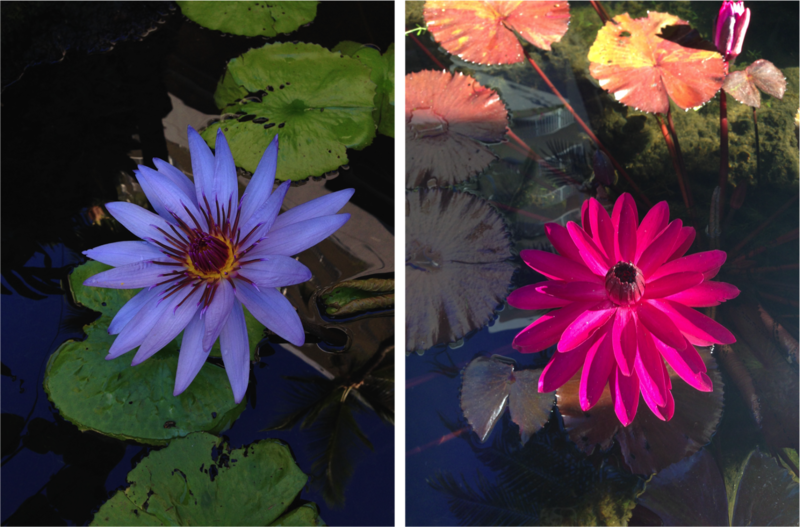 I know we missed some sights, but sometimes you just can't do it all at once! 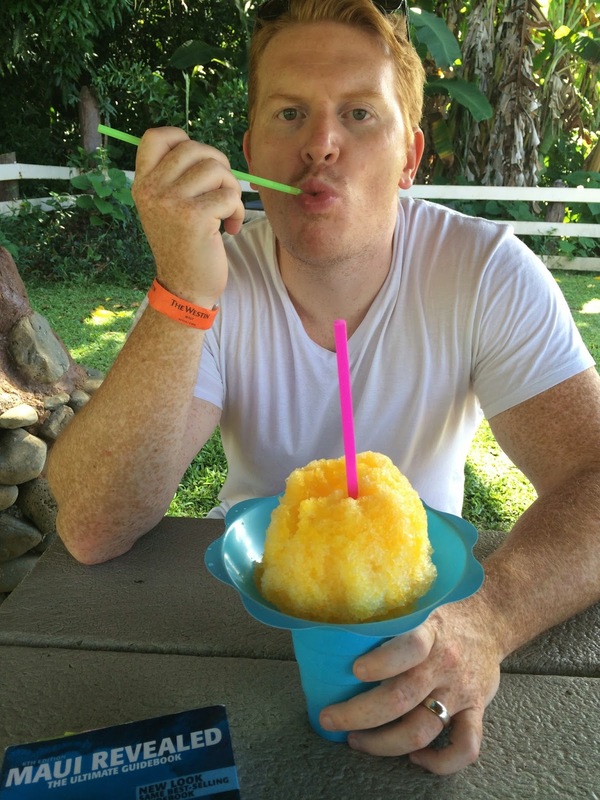 Other Thoughts and Tips on Planning a Trip to Maui. Weather and Water: Hawaii has the perfect weather every day reputation for a reason. It was in the low-80s with partial to no clouds the whole time we were there. The locals were complaining about the "heat and humidity" wave they've "been experiencing" and we looked at them like they were nuts. Try Chicago in July before you start complaining about humidity! We didn't even notice it. The few passing sun showers we experienced were always welcome and lasted no more than 15 minutes. It's really just perfection. What is less stable and very unpredictable? Ocean conditions. The first 3 days on Maui, the ocean was calm and clear, with a few rolling waves every so often. 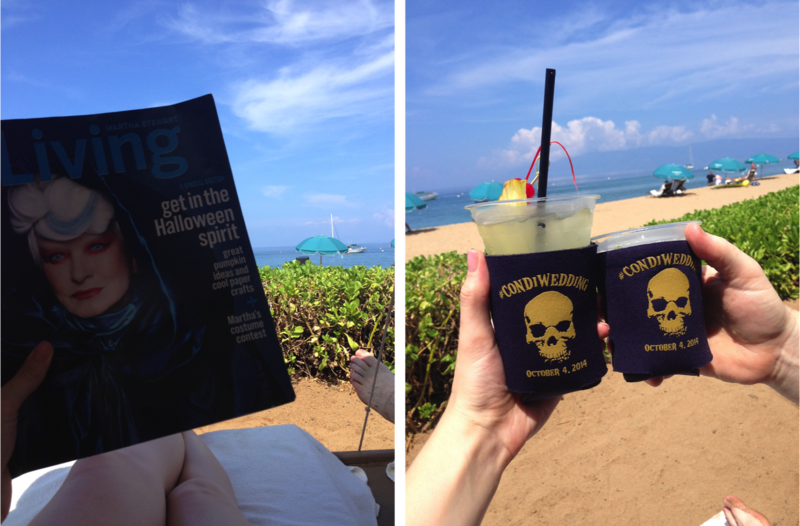 We got spoiled and assumed it would always be that way, so we postponed a paddle board lesson and a trip to Black Rock (a great snorkeling spot at the north end of Kaanapali Beach) for the final 2 days. But then the wind showed up and smirked at our little plans. That mild current became something quite scary, and I ended up not venturing into the ocean again there (though Conor had one last hurrah). Luckily our Road to Hana drive was planned for our second to last day, so we had plenty to keep us occupied, but the lesson here is be flexible and take advantage of perfect conditions when you have them. Don't expect to wake up to them the next day. If you see an opportunity to do something water-related, take it while you can! 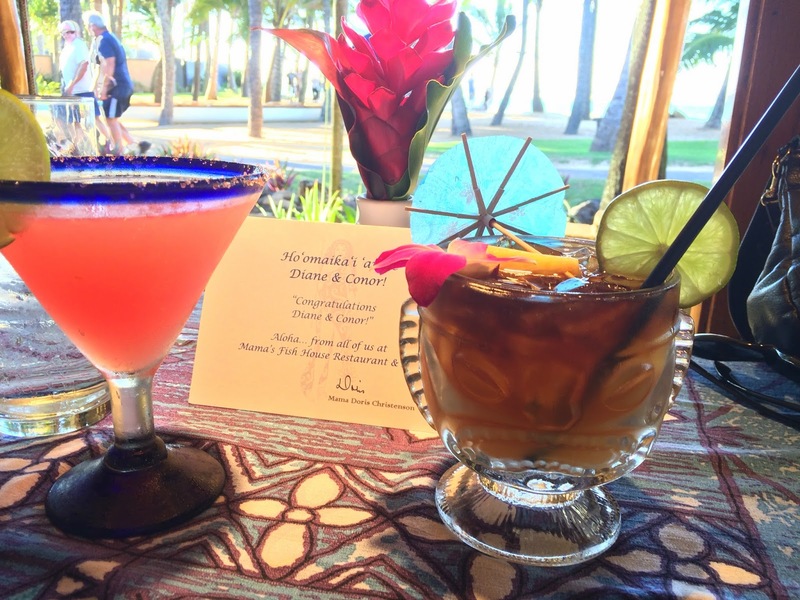 Nightlife: We were kind of surprised (but ultimately glad) to find that Hawaii shuts down in a hurry once the sun goes down. 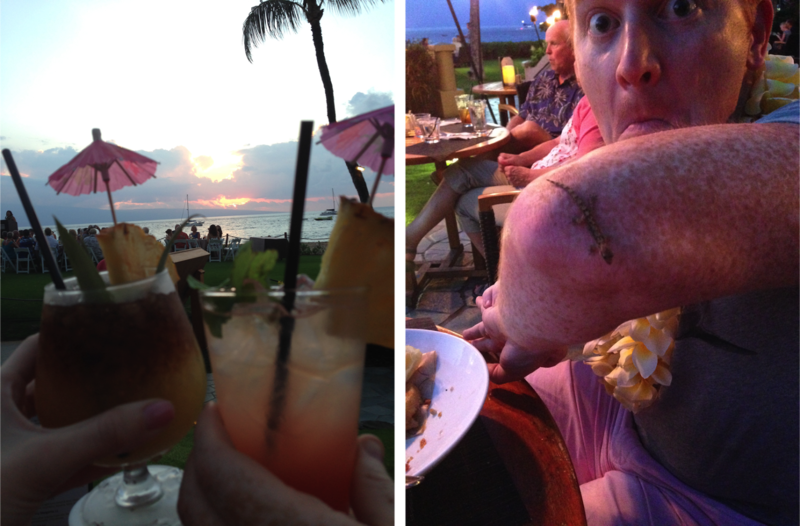 We settled into a nice pattern of either going to an earlier dinner (5:30-6ish p.m.) to see the sunset while we ate, or enjoying a happy hour sunset view from our balcony or the pool, then getting cleaned up and heading to dinner once the sun had firmly set. But after dinner, there is really not much to do at all. Except for a few awesome tiki torches to light the paths, the hotels, restaurants and shops keep lights low and close on the early side. We got on a nice schedule of going to bed relatively early for us (9:30-10 p.m.), and getting up by 7 a.m. (unheard of for us!). After waking up well-rested and having such long days at our disposal, we immediately understood why the island likes to shut down with the sun. I'll be back with a Kauai post as soon as I've finished editing the pictures. Mahalo!